Lots of people know the song “Mack the Knife” from Bobby Darin’s famous rendition, or perhaps from the brilliant if not totally accurate live performance by Ella Fitzgerald where she forgot the lyrics. But neither of these versions captures the vastly different style of the original song, written to introduce the main character of The Threepenny Opera. With A Noise Within repertory theatre’s new production, you can see it for yourself in its proper context. As part of their Revolution themed season, the repertory theatre presents a new production of the classic Bertolt Brecht and Kurt Weill masterpiece staged by Michael Feingold. Written in 1928, the play takes place in Victorian London but is really an elaborate metaphor for Weimar-era Berlin. The story follows the devious criminal Macheath (Mack the Knife) and his merry band of beggars and thieves. The social commentary and its depiction of corruption and vice on a backdrop of Queen Victoria’s coronation raises questions about problems in society that are as relevant today as they were when the play was written. The new production is designed to be in the repertoire simultaneously with the theater’s production of Julius Caesar, also part of the Revolution theme, and there are three dates when audiences can see both plays on the same day (April 12, 25, and May 2). 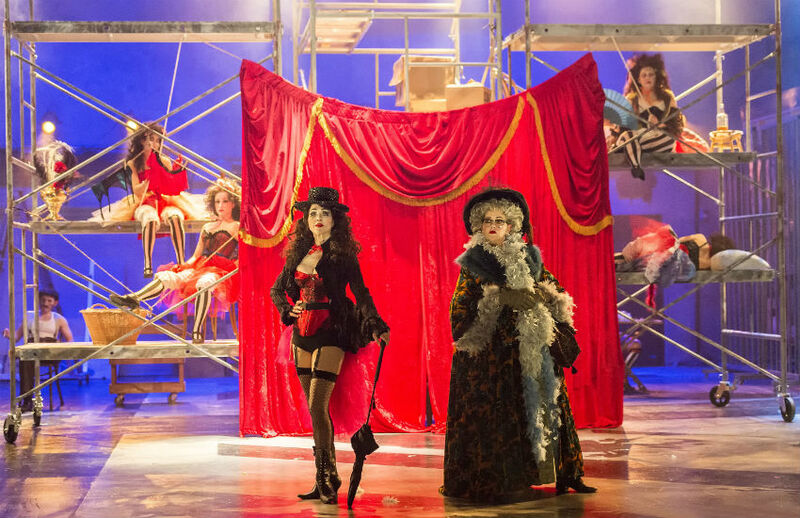 The Threepenny Opera runs through May 17, 2015 at A Noise Within repertory theatre in Pasadena. Tickets and information here.